The Great Lakes Uniframe is considered a well made and designed window. The UniFrame uses a fusion weld design to create a single uniframe that is now standard in the industry. It is available in a number of different styles such as a double hung, garden and casement, but the tilt in slider is a stand out for its design and versatility. Standard features include narrow sightlines, flush mounted sash locks, a sloped sill, a fiberglass reinforced sash rail, two sash cam locks, and ventilation limit locks. In addition, the Uniframe window comes with polyurethane filled vinyl chambers, tilt in sashes on the hung windows, and a block and tackle balancing system. All in all, the window offers some very nice features. It can be ordered as a double hung, casement, bay, bow, slider, garden or as a sliding patio door. Color wise, the window comes in a number of interior woodgrain's as well as a camel and creamy white. 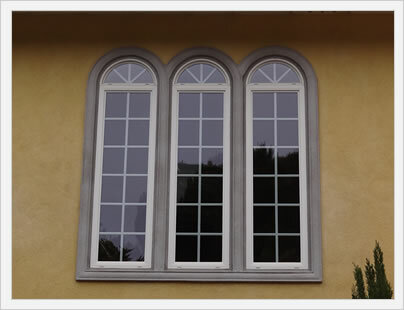 The window can be ordered with the exterior colors of sandstone, camel, creamy white, dark bronze and earthtone. Some installers have opined that the UniFrame is sold at a premium price that does not quite match up with the quality of the window. However, in terms of quality, the Uniframe delivers very solid performance and durability, so assuming a good price point, this is a good vinyl replacement option. Consumers can expect the Uniframe window prices to range from $40 to $50 square foot. Comparable windows include Harvey Tribute windows cost and Okna 500 window prices. 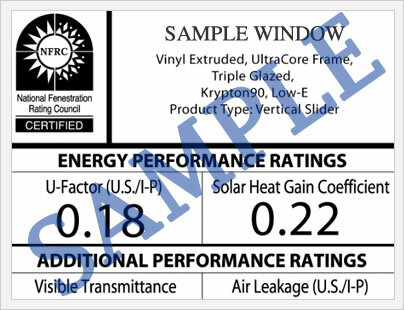 In terms of ratings, and performance, the Uniframe with the standard glass package will deliver a .31 U-factor, .24 SHGC, .32 VT, and 49 condensation resistance. Upgrading to the HP2 glass will deliver a .27 U-factor, .25 SHGC, 42 CR, and a .42 VT. This performance data comes from the national fenestration rating council website that rates thousands of new construction and replacement window options. The Uniframe vinyl window comes with a lifetime limited warranty that covers the entire window unit, and includes seal failure, as well as a glass breakage provision. The insulated glass unit carries a lifetime provision, however beginning at year 11 it is prorated. See the warranty for the proration specifics. The warranty is transferable to another homeowner, although we could not find the specifics required for transferring that warranty. As with any warranty, there are number of limitations and specifics that you should read in full prior to purchase. Do you have a question about the Great Lakes Uniframe window? If so our site editors are always willing to answer any questions you may have. Simply submit your questions here and we will get back to you as soon as we are able. If you would like us to get back to you directly, make sure to include your email address. If not, we will post your answer on this page. Have a Great Lakes Uniframe window review to offer? We would love to get your opinion on this premium vinyl replacement window. My wife and I purchased a home that has Uniframe Replacement Windows. The Sellers were an older couple and they could not remember the exact date they	were installed (it was likely in 2011 or 2012). They also could not remember the	company that installed the windows. We have two windows in which the seal has failed and would like to determine if	these would be covered under the Lifetime Warranty. We are in Kansas. Kris, the Uniframe is probably a Great Lakes window so my suggestion would be to find a Great Lakes Uniframe deal in your area and see if they were the ones who installed it. You may want to be a little cagey at first, i.e. perhaps pretend that you are looking for some more of the windows instead of want to get warranty relief. I only say that because some of these dealers want to avoid warranty issues and they may not provide you with the info you are looking for if they think you are there to get relief. Sad but sometimes true. We had Uniframe triple glass double-hung argon replacement windows installed by abc New Dimension Products. Emporia, Kansas, in 2006. doing spring cleaning 1/8/2017, I have 3 units that are showing foggy or stains between the glass can you assist me with the warranty contact for replacement? they are not broken. I would obviously start by contacting ABC New Dimension Products. If you can't get ahold of them, I would call up Great Lakes windows and see if you can talk with someone in their customer service department to find out how to start a warranty claim. Have a Uniframe hiR+plus window and wondering what the u rating is on it. Can u help? Crystal, the Uniframe with the h2 upgrade should deliver a .27 U-factor, .25 SHGC, 42 CR, and a .42 VT. The local rep who is selling the window ought to have this information at his fingertips so I would suggest double checking this with him.